The designer Pudsey 2012 collection has launched following its success last year. 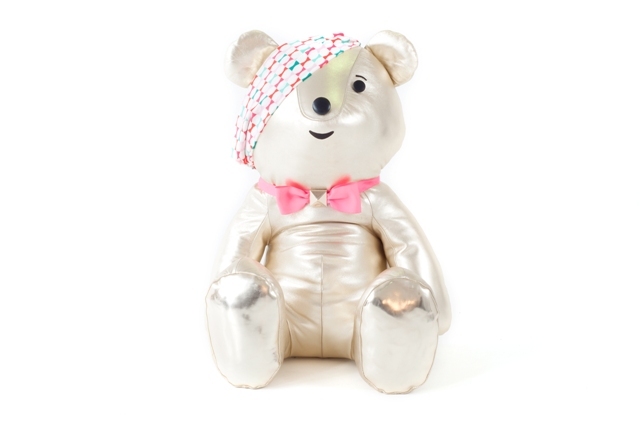 Pudsey has been given a makeover by 30 top fashion designers who have created their own unique versions of the loveable bear. 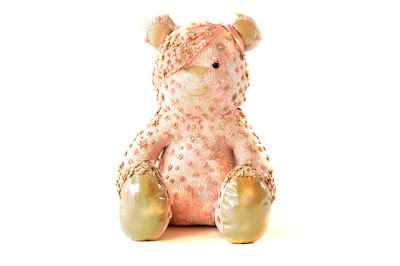 The bears reflect the designers' individual flair and style and offer an insight into trends for 2013 with designers including Alexander McQueen, Balenciaga, Jonathan Saunders and Prada transforming Pudsey into a fashion icon! The McQueen Pudsey is embellished in floral applique and on trend for the season with flashes of metallic gold on his ears and paws. 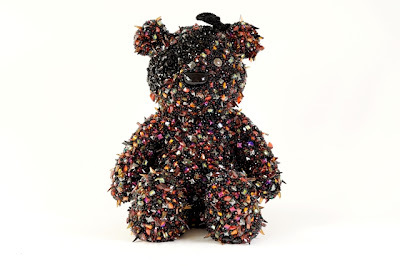 Giles Deacon used over £20,000 of Swarovski crystal elements to create this bejewelled Pudsey. Kate Spade's metallic bear wears a pink bow and sports a printed headscarf. 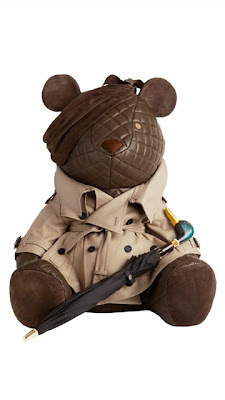 Burberry Pudsey wears his own version of their iconic trench coach and carries a duck umbrella. Made from quilted leather and suede he embodies the classic luxury of this renowned brand. Made at their Somerset Factory, the Mulberry bear evokes classic Mulberry style with a signature Mulberry tree on his paw and a leather heart. He sports a mini version of their new Bryn satchel which contains a longer strap inside so you can wear it too! 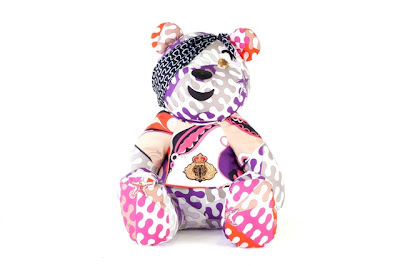 The Pucci bear is made up of one of the Houses first print collections, the iconic Palio Prints from 1957. He's been created from brightly coloured silks and wears a monogrammed headband. 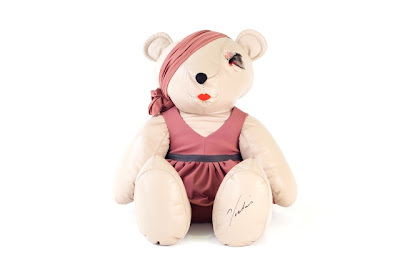 Victoria has created the first Pudsey dressed as a girl wearing a signature Victoria Beckham blush dress complete with a co-ordinating wrapped bandage. 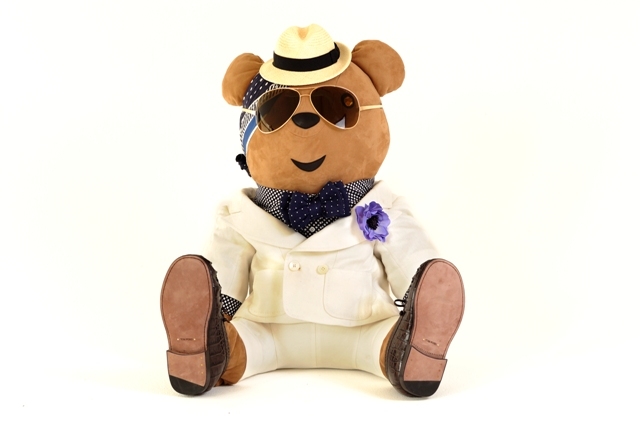 The Tom Ford bear is made from materials used in their recent SS'12 mens collection. He wears a custom made ivory linen suit and silk polka dot shirt. His Panama hat is taken from a design from their summer collection and his gold rimmed 'Macro' sunglasses are based on one of their most popular styles. He sports a pocket square bandana, silk bow tie and Italian leather loafers. The bears are currently on display in the windows of Selfridges in London before going to auction on 14th November to raise money for Children In Need. 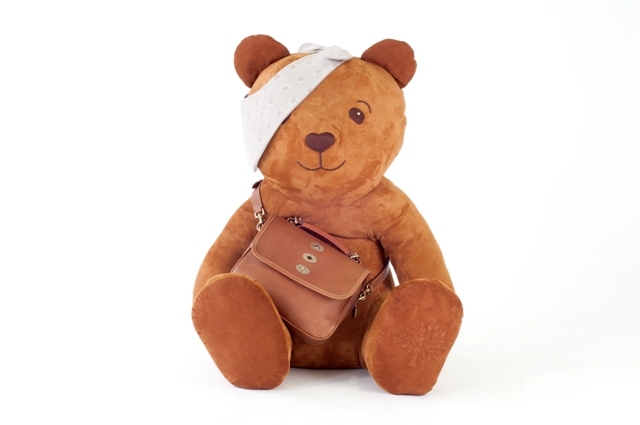 Anya Hindmarch, Paul Smith and Selfridges have also created 10 inch limited edition Designer Pudsey’s, sold exclusively in Selfridges. Which is your favourite designer Pudsey? Ash I want one!! The Victoria one made me laugh tho!! OH MY GOSH! I love the Burberry one and the Victoria Beckham one. SOOO ADORABLE. Such a brilliant idea! And oh so cool!! !